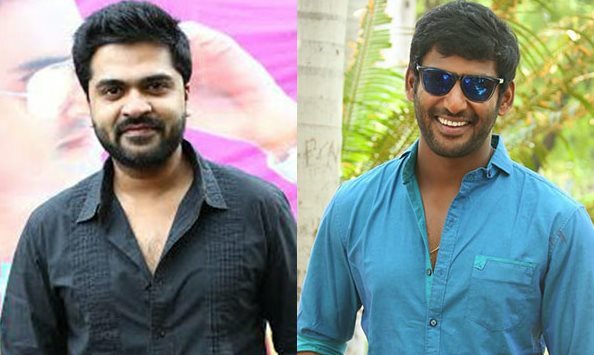 On a day when Simbu started his new film and there were claims from the team that it would be a remake of Telugu blockbuster ‘Temper’, an announcement from Vishal’s publicist later in the day said that the Nadigar Sangam general secretary would be the protagonist of ‘Temper’ Tamil remake. This paved way to a lot of speculations and guessing games, if not confusion, as to who is really remaking the NTR Junior starer. These remarks by Simbu only triggered more speculations. For, only on Friday morning, the project to be helmed by Vijay Chandar of ‘Vaalu’ fame, got an auspicious start with traditional pooja in Chennai. Simbu and producer Michael Rayappan attended the muhurat. Simbu began working on this movie just a day after he finished shooting for a song in ‘Idhu Namma Aalu’, for which he shook legs with Adah Sharma.